Memorial Hall Museum is open in May for weekends only, and daily (except Mondays) from June through October from 11:00 am–4:30 pm. Admission is $6 for adults; $3 for youth and students 6-21. The museum is also open by appointment or for school groups; please call 413-774-7476 ext 100 if you would like to schedule a group tour. Within the museum’s 19 rooms of art, history, and culture are several Special Exhibits listed below. For a glimpse of Past Exhibits, click here. 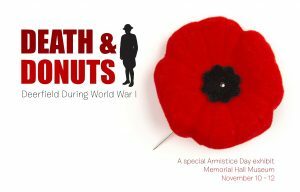 Memorial Hall Museum will open for Veterans Day weekend to celebrate the 100th anniversary of the end of World War I. Get a rare glimpse into the lives of the local men and women on the front lines. Uniforms, official correspondences, personal letters, and other artifacts bring the reality of the war and the Armistice to life. Learn about memorial poppies and pin one on the board to honor someone special. Astronomy, Geology, and Dino Tracks! Oh my! 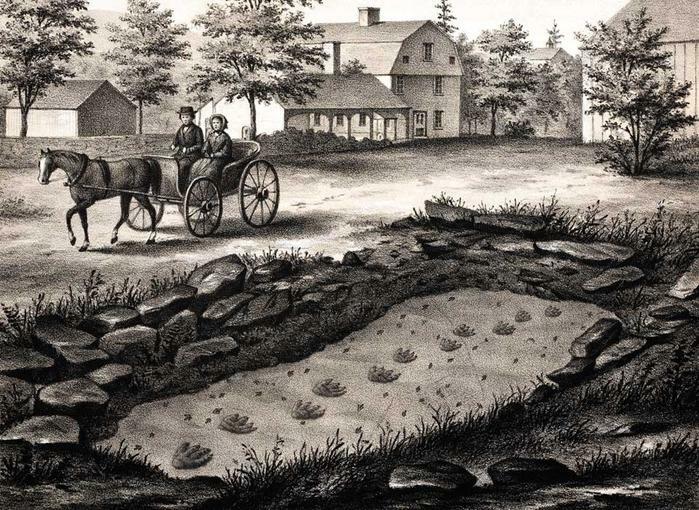 Edward’s significant work on Connecticut Valley fossil footprints and Orra’s scientific illustrations rocked the world in the 19th century. This exhibition introduces the Hitchcocks’ many contributions to astronomy, botany, geology, and ichnology in the very place they started a lifetime of work together. Produced in conjunction with PVMA’s newly launched website Impressions from a Lost World: www.dinotracksdiscovery.org. 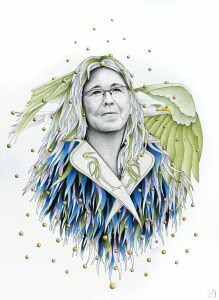 Exquisite portraits of contemporary and historic Native bead artists by Gerry Biron, artist and organizer of the Made of Thunder, Made of Glass exhibits, accompany beadwork by Wabanaki/Canadian Metis artisan Rhonda Besaw and Oneida artisan Karen Ann Hoffman in the renovated Native Room. MUSIC ROOM In celebration of the 100th anniversary of Memorial Hall Museum’s 1916 wing, the Music Room has been renovated and reinstalled with three centuries of musical instruments, furniture, and artwork. Franklin County’s first piano, Hadley chests, and portraits will be featured in this special exhibition. CHILDREN OF DEERFIELD: PHOTOGRAPHS BY FRANCES AND MARY ALLEN Celebrated as the “foremost women photographers in America” in 1901, Frances and Mary Allen’s 1885 to 1915 photographs provide a unique glimpse of childhood in rural New England. This exhibition features idyllic photographs of children on the farm, at play or in costume in old Deerfield. RELICS AND CURIOSITIES IN MEMORIAL HALL Conch shells used for dinner horns? Wreaths made from human hair? Weapons made with shark’s teeth? Out-of-the-ordinary curios and keepsakes are featured in an exhibition with an emphasis on intriguing narratives and “otherness.” This exhibition features rarely seen relics and curiosities gathered and preserved in Memorial Hall since 1799. 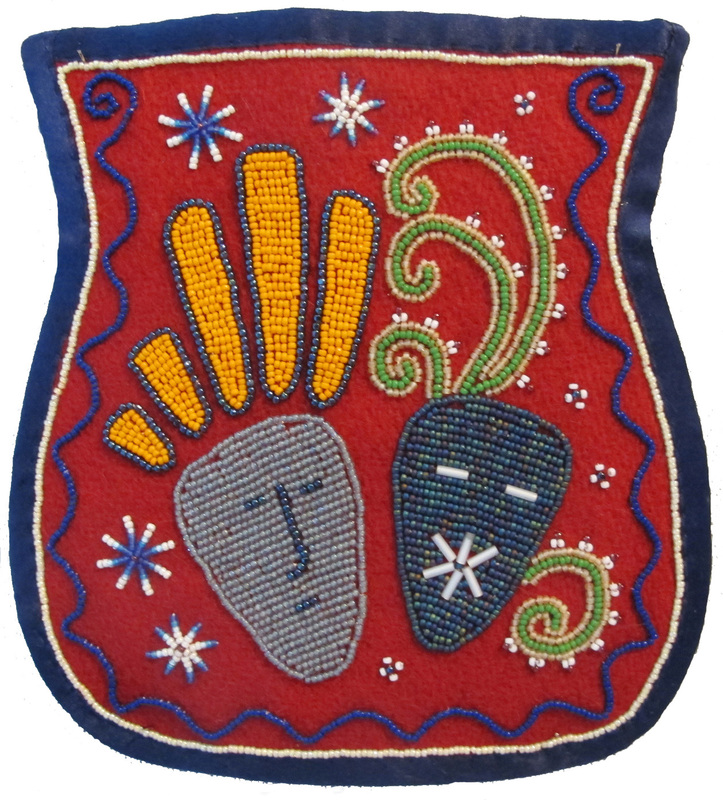 Intricate, colorful, and symbolic, beadwork is a traditional form of Native artistic expression. 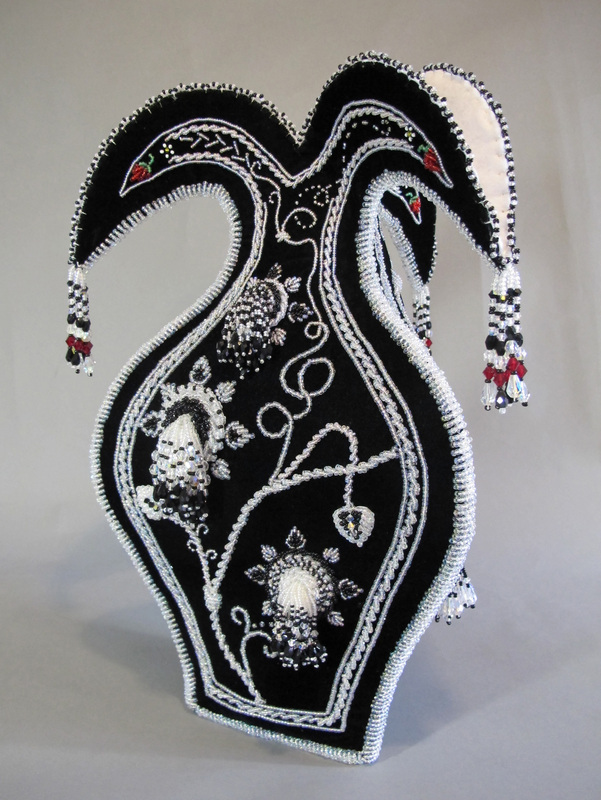 In this exhibition, over 250 extraordinary examples of contemporary and historical Native American beadwork made in the Northeast between 1800 and 2015 are accompanied by compelling portraits of the beadwork artisans by Gerry Biron. On view at Memorial Hall Museum, Deerfield, MA. The realist paintings of Robert Strong Woodward (1885-1957) are marked by strong lines, beguiling compositions, and pragmatic colors. 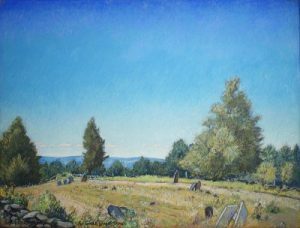 Featuring landscapes and scenes of rural Buckland, Massachusetts, dating to the 1930s, this special exhibition celebrates New England regionalism. 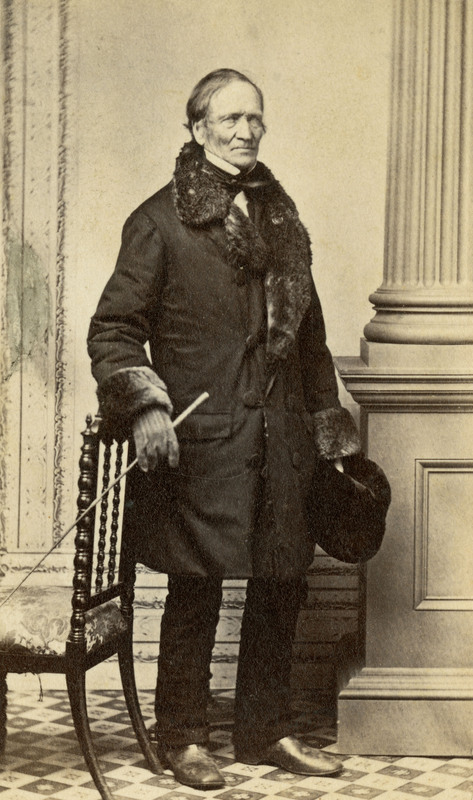 Organized by the Friends of Robert Strong Woodward, on view at Memorial Hall Museum, Deerfield. Open through October 13th: There will be a special exhibition of paintings by New England artist Robert Strong Woodward (1885–1957) at Memorial Hall Museum, presented by the Friends of Robert Strong Woodward. Museum admission grants access to both the exhibition and the museum’s collections. An exhibition of 28 gelatin silver photographs dating from 1936 to 1950 of Depression-era people, children, fashion models, and Robert Frost and his family. Using the newly introduced 35mm Leica—a small and unobtrusive camera favored by photojournalists—Masha Arms mastered light and composition to create compelling portraits, figure studies and landscapes. After teaching photography in Washington, DC, in 1941 Arms moved to Greenfield, Massachusetts, where she actively pursued photography for another twenty years. 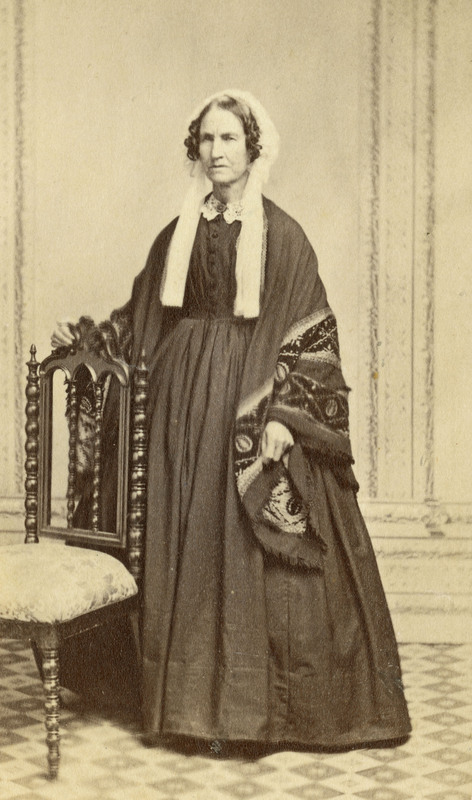 See more Masha Arms images on PVMA’s Facebook page here.